Junior Mint Minis are the perfect addition to the Junior Mint family. 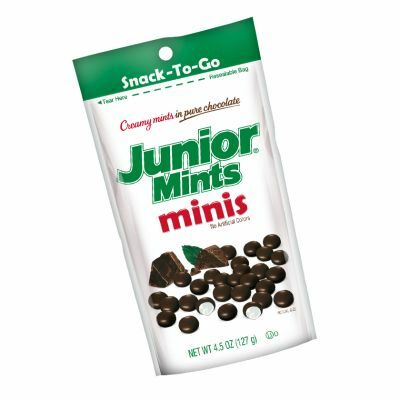 With an resealable pouch and on-the-go type packaging, Junior Mint Minis are the way to go! Indulge, snack, share, and be happy. Since joining the Tootsie family in 1993, Junior Mints has continued to thrive as an American candy favorite. Today, Tootsie produces more than 15 million Junior Mints a day, all from its original Cambridge, Massachusetts plant. 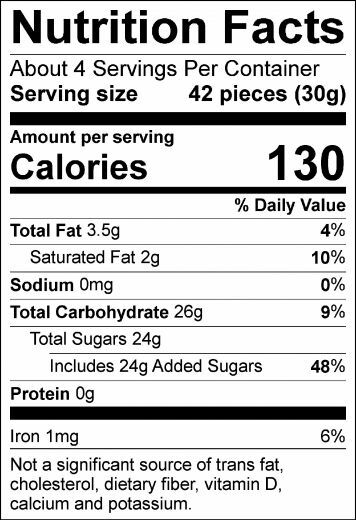 Ingredients: Sugar, Semi-Sweet Chocolate (Sugar, Chocolate Processed with Alkali, Cocoa Butter, Soy Lecithin-An Emulsifier, Vanillin-An Artificial Flavor), Corn Syrup, Confectioner's Glaze, Food Starch-Modified, Peppermint Oil, Invertase (An Enzyme). EGG AND MILK MAY BE PRESENT.